With its whisper-quiet electric drive and the brute strength of a ground-up 4x4 chassis, our original MTV still stands apart from every other electric vehicle on the market. With its 600 lbs. 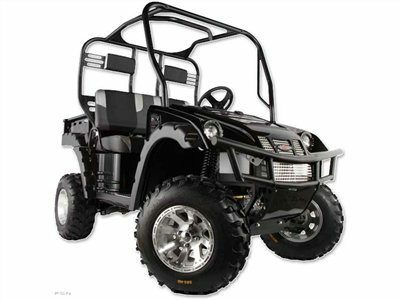 payload capacity and rock-climbing traction, this is the perfect work or play vehicle with un-plug and go capability. Like all our MTV’s, it’s available in Bad Boy Orange, Black or Camouflage, making it the perfect vehicle to roam in and out of hunting areas virtually undetected. 7.75 in. from the lowest point of the frameAt Frame: 14.5 in.